Welcome to the Marshalls Customer Satisfaction Survey. You must have shopped a Marshalls store in the U.S. or Puerto Rico and be a legal resident of the United States to be eligible for the Sweepstakes. 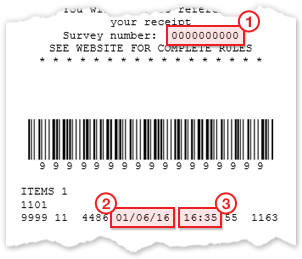 If you made your purchase at a Marshalls store in Canada please check your receipt to ensure you are at the correct survey website.